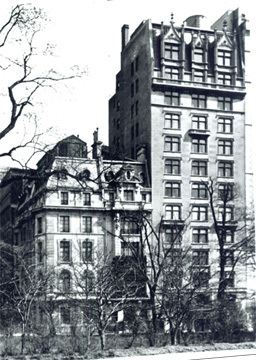 This 13-story, limestone-clad apartment building was designed by C. P. H. Gilbert in 1917 and was the only the avenue's second apartment building on the Upper East Side. 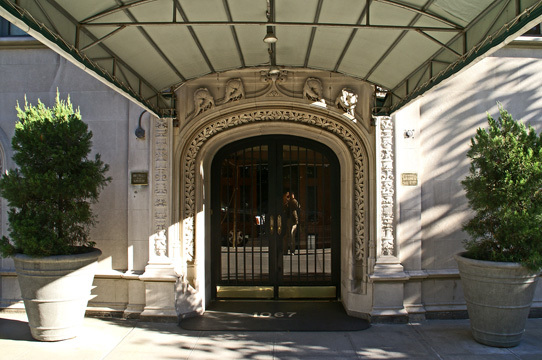 It was designed in the François I style that Gilbert used to more elaborate effect for the great mansion at 2 East 79th Street on the southeast corner at Fifth Avenue in 1899. The mid-block building was once flanked by elegant mansions including one that belonged to Henry Phipps just to the south. The building exudes a great sense of strength because of its inset windows and simple borders. It has a curved entrance beneath the canopy that has fabulous salamanders and lizards and perhaps petite dragons scurrying about much to the apparent serene delight of putti heads flanking the entrance at the bottom of the first floor window frames. Half a block from the Solomon R. Guggenheim Museum and a block-and-a-half north of the 86th Street westbound bus, this building has a quiet and very fine Carnegie Hill location across from Central Park. The sedate but very charming building has few apartments, numerous arched windows, and sidewalk landscaping but no garage. 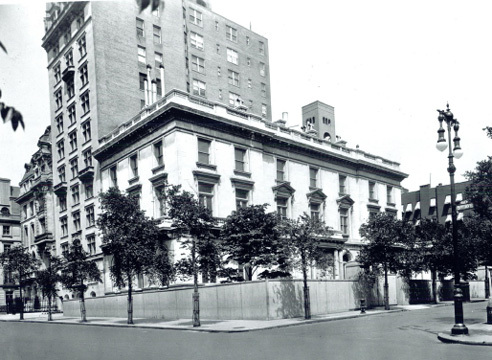 A current resident, Elie Hirschfeld, kindly sent The City Review two early photographs that showed the building shortly after it was erected.